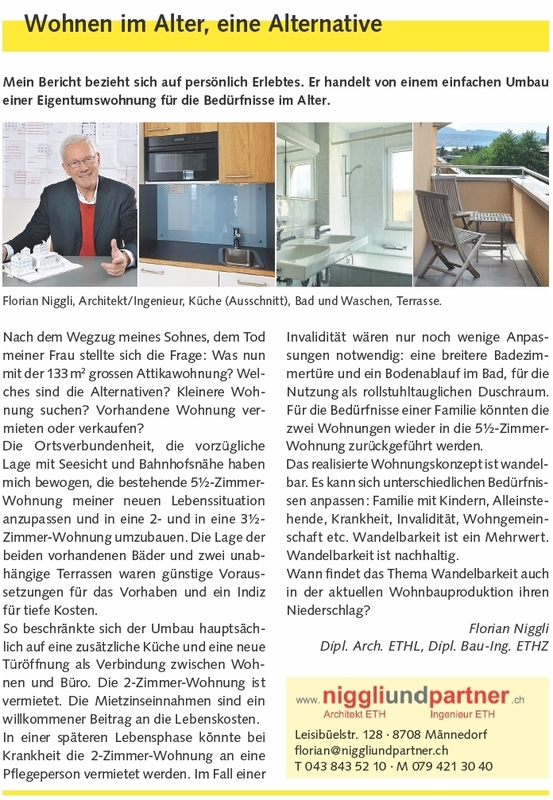 The following article appeared in «Fischotter» – the magazin from Männedorf/Zurich (issue no. 1/2019). The following article appeared in TEC21 (issue no. 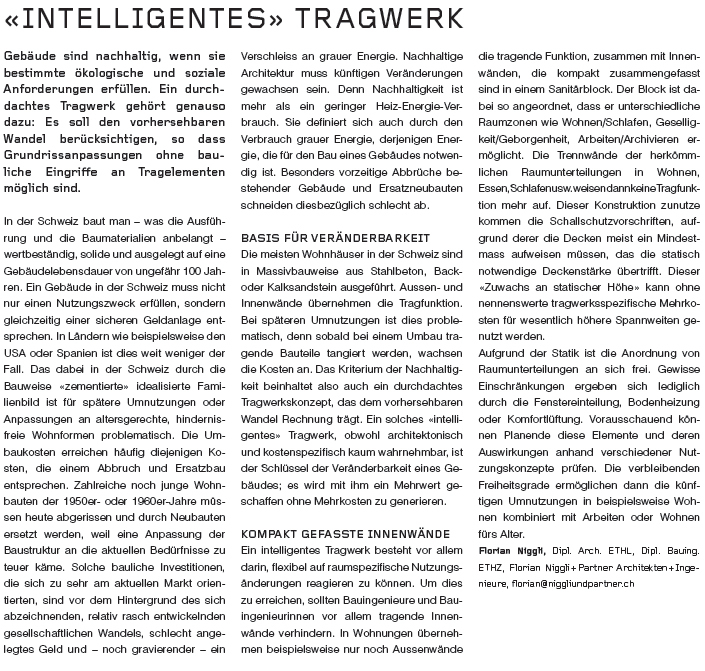 2/2011), the magazine of the SIA (Swiss society of engineers and architects). It relates to the residential/commercial building in Feldmeilen that is presented under Reference projects.